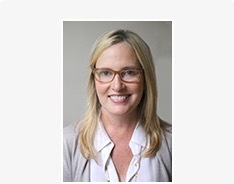 Mary Guerin Comerford, Esq., is an Of Counsel attorney with Tyre & DeThomas, P.C. Mary joined the firm in October of 2016 as a Trusts and Estates attorney. She has responsibility for all phases of Estate Planning, (including drafting of Last Wills and Testaments, Trusts, Health Care Proxies and Durable Powers of Attorney) and Probate of Estates. Before joining the firm, Mary was Of Counsel at Comerford & Dougherty, LLP in Garden City, New York where she handled Estate Planning and Probate matters. She is currently on the Board of Directors of the Community Care Center in Pelham, NY. Mary is currently a member of the Westchester County Bar Association, Westchester Women’s Bar Association, and New York State Bar Association. Mary received a Bachelor’s degree in 1988 from Fairfield University. Mary graduated from Fordham Law School in 1993 with a Juris Doctor degree and was admitted to the New York State Bar in 1994. She is currently pursuing a Master of Laws (LLM) Degree in Estate Planning from Western New England School of Law with an anticipated completion date in 2020. Tyre & DeThomas, P.C., Counselors at Law, is located in Rye, NY and serves clients in and around Rye, Mamaroneck, Harrison, Purchase, Eastchester, Tuckahoe, Scarsdale, Bronxville, Pelham, White Plains, Mount Vernon, Hartsdale, Port Chester, Hawthorne, New Rochelle, Yonkers, Ardsley, Hastings On Hudson, Dobbs Ferry, Ardsley On Hudson, Armonk, Briarcliff Manor, Elmsford, Larchmont, Rye Brook, Katonah, Somers, Yorktown, Chappaqua, Bedford, Mount Kisco, Pleasantville, Thornwood, Valhalla, Croton-on-Hudson, Manhattan, Putnam, Rockland and Westchester County. © 2013 - 2019 Tyre & DeThomas, P.C. All rights reserved.